The Kindle is a revolutionary device, allowing you to read books with pleasure. Of course, the ability to buy books on the fly makes for convenience, but it also leads to a library of books that is growing faster than ever before! You need a way to effectively manage your Kindle books and collections! But Kindle is not suitable for that due to the limitations of e-Ink screen. That's why you ought to check out Kindlian, today's discount software promotion! 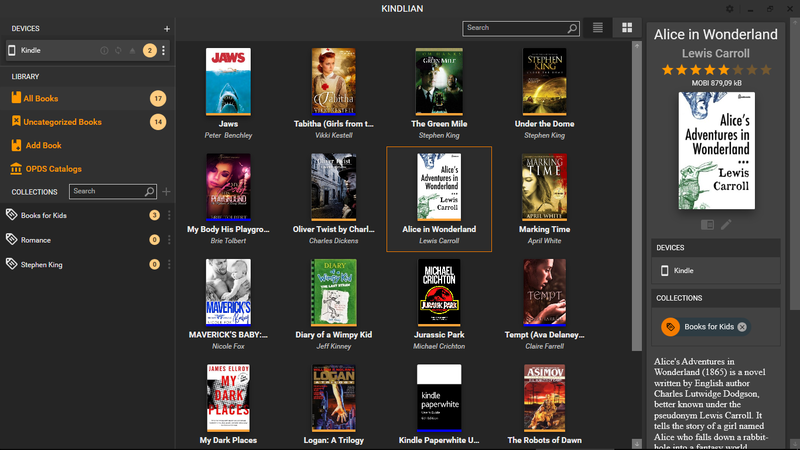 Kindlian allows to move your Kindle library to your PC and use Kindle only for reading - which it does perfectly. 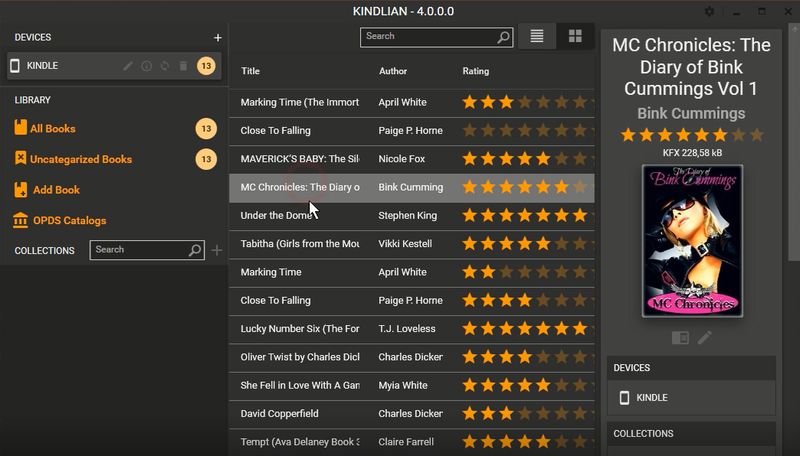 With Kindlian, you'll be able to view your Kindle's content as a beautiful electronic library, complete with colorful book covers and the ability to sort, search and read or preview your books. A variety of layout choices and color-schemes means perfect compatibility with what you need to do and to see! Create collections of books by grouping them by a broad and deep array of parameters, including author, genre, series, and more. Need to change a book's collection or send a book to Kindle? Just drag and drop it! Update book covers using the Internet. 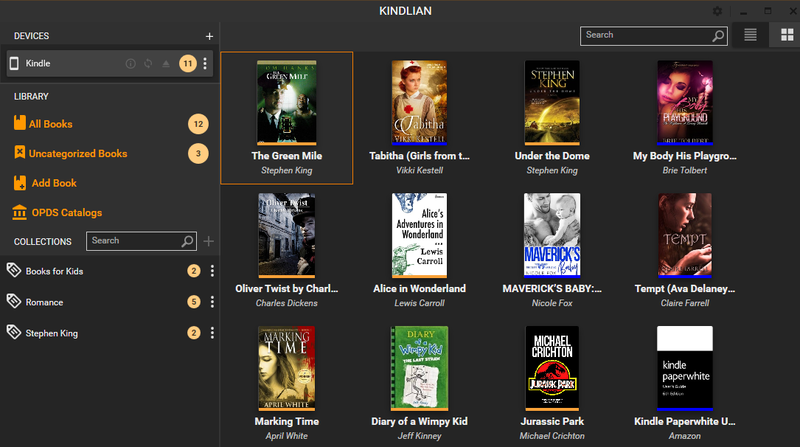 You can even use Kindlian to manage books purchased from Amazon as well as free books, that you download from other sources. 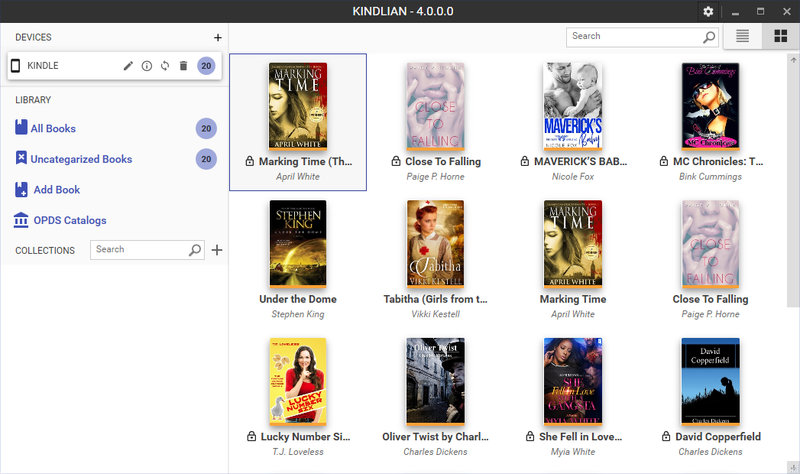 And if a book has a different format (like EPUB or FB2), Kindlian will automatically convert it to Kindle's format, so you'll be able to read any book on your Kindle. After you purchase Kindlian it may be used indefinitely. Kindlian is licensed for family use, so everyone in a household can use the software. Each license allows installation on 5 computers, but Kindlian may not be used at exactly the same time on each of them. Upgrades to future versions of the software will be free for 6 months. For versions after that, upgrades will require additional payment, which will be discounted by 75%. Bob McLain I would have been interested in this software, but it doesn't support the latest Kindle firmware for the Touch and the Paperwhite. The advice on your FAQ - to downgrade Kindle firmware! - is not something I want to do, and sounds like very bad advice. I hope you're able to fix those issues and then discount the software again. Adam Bridge Where does it say it doesn't support latest firmware for Paperwhite Bob ? I couldn't find that anywhere. It clearly says it supports Paperwhite and all Kindle users to update to latest firmware. Can someone from Kindlian will respond to this query ?